If you’re anything like me – when it comes to worry, real worry, the kind that keeps you up late at night, the kind that makes you irritable all day, the kind that disrupts your sleep, rest, joy, your ability to focus, to be kind and to love, you might say, “I WORRY, BECAUSE I CARE SO MUCH”. One of the first things we need to do as we take steps towards winning the war on worry is be honest. My worry is ultimately fueled, not by my great concern, but it is fueled by my own stubbornness and unwillingness to trust. Jesus is getting at a really important issue here. At the heart of worry is the attempt by you and me to control the uncontrollable. 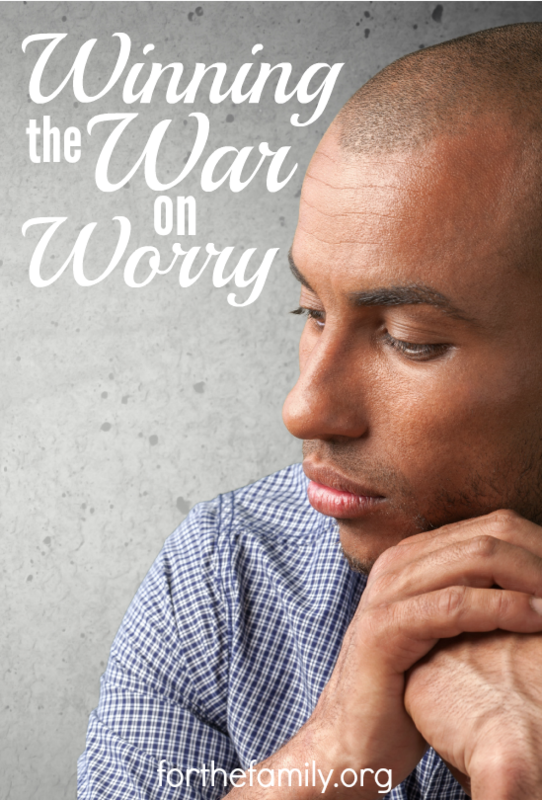 Central to the problem of worry is the illusion that you are really in control when you are not. Worriers always have control issues. Would you not agree? Instead of trusting in God’s control, we try to control something that is uncontrollable and when we can’t control it, we worry about it. Jesus’ great alternative to Worry in Matthew 6 is to trust. To not be plagued by worry, but to be freed through trust. You have a Good Father. You have a Father who knows everything, He cares MORE than you care, and He’s ALL Powerful! Celebrate this fact. Get ahead of your worry daily through prayer (see Philippians 4:6-7) and rest in God’s care, power, and wisdom.